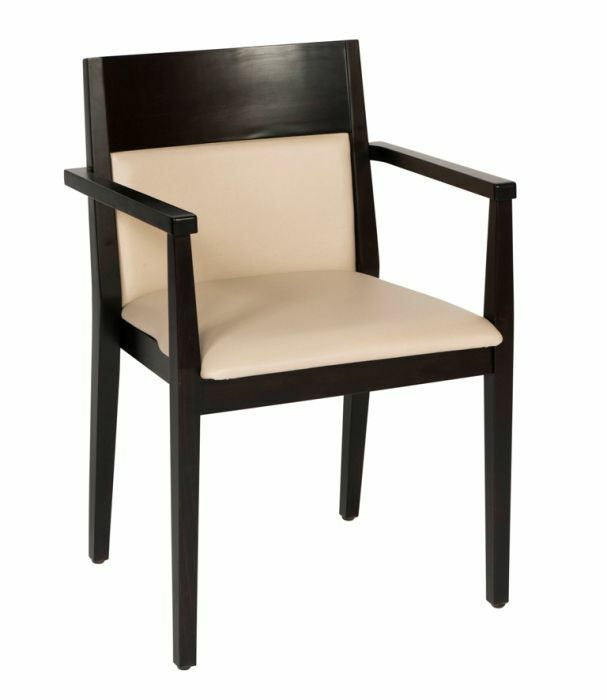 Dining chairs with arms available with an optional upholstered seat and back and a choice of 17 wood finishes. Solid beech construction. Stackable for convenient storage. 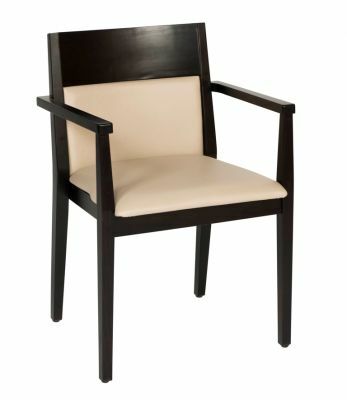 Solid beech construction dining chair with integral arms and a cushioned seat and back for comfort.